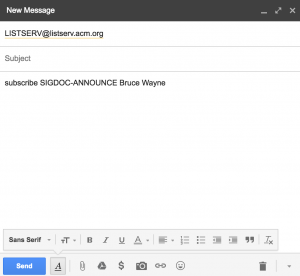 The SIGDOC listserv is our primary form of communicating with members and sending announcements. After sending your email you’ll receive a reply asking you to confirm your subscription. After confirming you’ll receive an email verifying your subscription and you’re done! 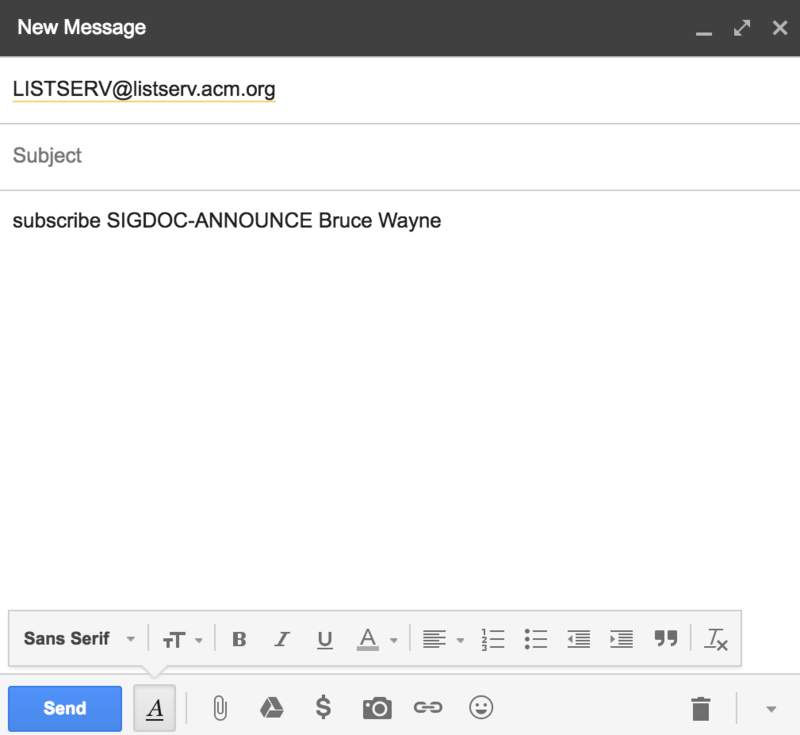 Welcome to the SIGDOC listserv.